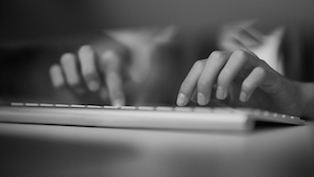 Get advice from exam writing expert Fiona Joseph with her weekly CAE writing task. See corrected answers submitted by students in our 'Makeover' page. Plus: vocabulary and grammar exercises to help you develop your writing skills! 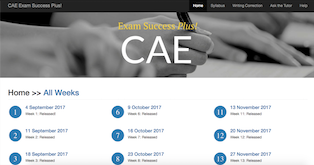 Get a weekly reminder of the new Writing task by signing up to Flo-Joe's FREE "CAE EXAM SUCCESS Newsletter". You'll also receive a selection of the words that were tested in the Word Bank each week, tips on how to tackle the examination and promotional information about Flo-Joe products and services. Simply fill in your email below. Find out more about Flo-Joe's "CAE Exam Success Plus!" for extra help with the Writing Paper. Looking for feedback on your writing? Find out more about Flo-Joe's "CAE Writing Critique and Correction" service. "This is one of the best webpages I have come across so far. Great way to improve your English knowledge and enormous fun."